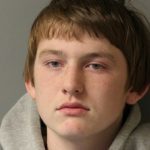 Lincoln– The Delaware State Police arrested two juveniles in connection with multiple burglaries in the Cedar Creek Estates development. On Tuesday, February 6, 2018 at approximately 7:12 p.m., Troopers were dispatched to a burglary complaint in the 20000 block of West Mayhew Drive, Cedar Creek Estates. During this burglary, forced entry was made and the residence was extensively ransacked, and multiple items were stolen, including electronics and purses. While Troopers were investigating this incident, they were informed of two additional burglaries that occurred within the same development in which electronics and jewelry were also stolen. 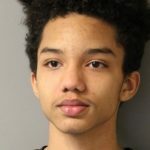 Through investigative measures, Troopers were able to identify two suspects, 14-year-old Dallas Mohler of Lewes and 14-year-old Jaliel Perry of Lincoln. While attempting to locate the suspects, Troopers observed the juveniles walking in the Cedar Creek Estates development carrying backpacks. The suspects were subsequently detained and their backpacks were seized without incident. Both backpacks contained stolen jewelry and other associated property from the reported burglaries. Consent was granted by Perry’s grandmother to search the residence in which Perry resides. During this search, multiple electronics and other suspected stolen property was seized from the residence. Both juveniles were transported back to Troop 7 where they were each charged with three counts of the following: Burglary 2nd (Felony), Theft, Criminal Mischief, and Conspiracy 2nd (Felony). Both were arraigned and committed to the Stevenson House Detention Center on $6,000 secured bond. During the month of January 2018, Troop 7 units handled multiple complaints involving thefts from unsecured vehicles in the Lincoln (Cedar Creek Estates) and Lewes (Reserves at Lewes Landing) area. Both juveniles are suspects in these cases and the Property Crimes Unit will continue to investigate these complaints and exam the seized property. Anyone with information pertaining to these cases is asked to please contact Troop 4 Property Crimes Unit at 302-752-3800. Information may also be provided by calling Delaware Crime Stoppers at 1-800-TIP-3333, via the internet at http://www.delaware.crimestoppersweb.com.